Primarily I am interested in physical activity and the aerobic and resistance components of exercise. I am trying to reduce sedentary behaviour in a range of population groups and also promote healthy nutrition. These lifestyle factors are very important in the field of public or population health as there is a strong link to chronic diseases including cardiovascular disease as well as mental health and wellbeing. I have been involved in various programs in schools, workplaces, communities and clinics where we are able to target a vast array of population groups including adolescents, older people and patients of chronic disease including cardiovascular disease. Ultimately, I am trying to put these interventions into real life settings that are translatable, sustainable and cost beneficial to the community. I loved sports as a kid and was fascinated by the fact that my mother was a triathlete and my father was a 'couch potato'. I wanted to unravel this family mystery about why some people are drawn towards physical activity and others are not. Today, I love research in terms of trying to uncover the reasons why people behave the way that they do in trying to have a healthier population. There are vast complexities in human behaviour regarding healthy and unhealthy choices and my research helps me feel like I am making a difference to people’s lifestyles. The ultimate goal for my own research is to find innovative and practical interventions that can get people more physically active in our communities. The idea of creating these strong building blocks for future research by our next generation of researchers is very gratifying and is a key goal for my research. With over half the Australian population now estimated to do little or no exercise, the need for evidence-based physical activity and nutrition interventions has never been greater. 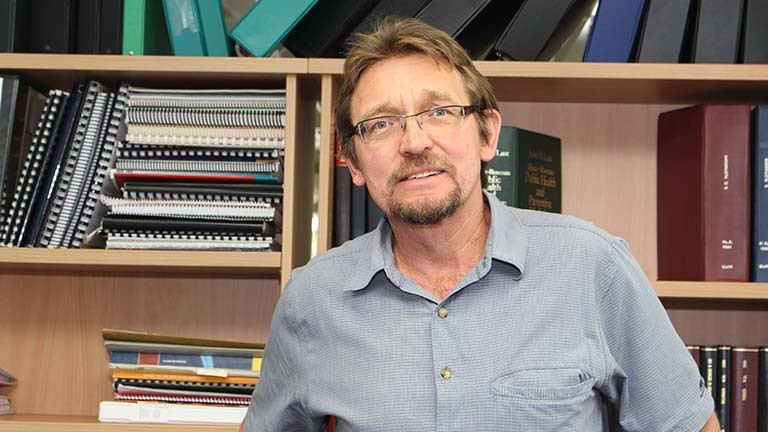 Canadian-born Professor Ron Plotnikoff is co-leader of the HMRI Cardiovascular Program and the Director of the University of Newcastle’s Priority Research Centre for Physical Activity and Nutrition since 2010. Since moving to Australia in 2009, Professor Plotnikoff has contributed significantly to the field of cardiovascular health through promoting effective prevention and healthy lifestyle tools. Professor Plotnikoff’s research focuses on promoting physical activity behaviours for the prevention and management of diabetes and cardiovascular disease as well as the promotion of healthy body weight and general health of the population. By working with multiple different sectors and groups, Professor Plotnikoff is able to harness the capabilities of public health authorities, the education and government sectors, schools, workplaces and health care organisations to work together in improving the cardiovascular health of a variety of different population groups. He has been the successful recipient of many prestigious research awards and grants over the years including a Senior Health Scholar Award from the Alberta Heritage Foundation for Medical Research and the Canadian Psychiatric Association Council of Psychiatric Continuing Education Annual Award. He leads a team of talented researchers at the University of Newcastle in the priority research centre for physical activity and nutrition including postdoctoral research fellows and PhD students alike. His multi-disciplinary training background includes Kinesiology, Education (2 Masters Degrees), Behavioural Epidemiology (PhD) & Community Medicine (Post-doc). His interdisciplinary research and publications over the past 15 years cross the fields of public health, health psychology, health promotion/education, exercise psychology, and behavioural epidemiology. In 1998 he was recruited as the founding faculty for University of Alberta's Centre for Health Promotion Studies. Since 2004 Professor Plotnikoff has helped secure over $35 million in funding for 55 projects, completed 40 supervisions and has 9 ongoing. He has contributed to over 285 journal articles and presented at more than 90 conferences throughout the world.